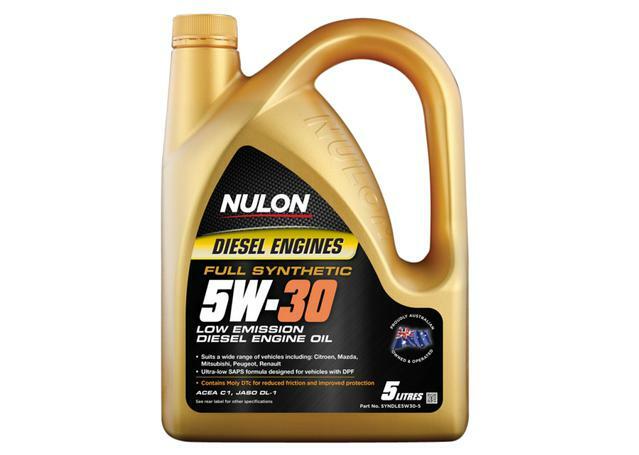 Offering new and improved levels of wear protection for Australian, Japanese, European, and US engines, Nulon 10W40 Engine Oil Full Synthetic Hi-Tech is suitable use in a huge range of vehicles, including Audi, Ford, Holden, Kia, Mitsubishi, Toyota, and many more. 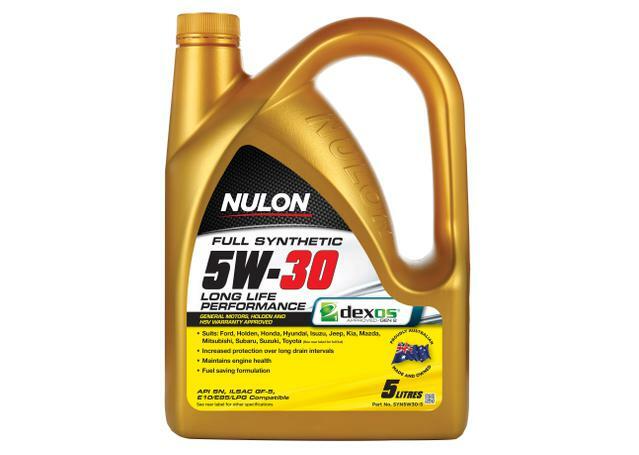 Nulon Full Synthetic 10W40 Hi-Tech Fast Flowing Engine Oil contains the additive Molybdenum Dithiocarbamate – or Moly DTc – which works to dramatically reduce friction and improve the level of protection against engine wear. The addition of Moly DTc ensures that your engine experiences significantly improved protection in situations ranging from cold starts to extreme temperatures. 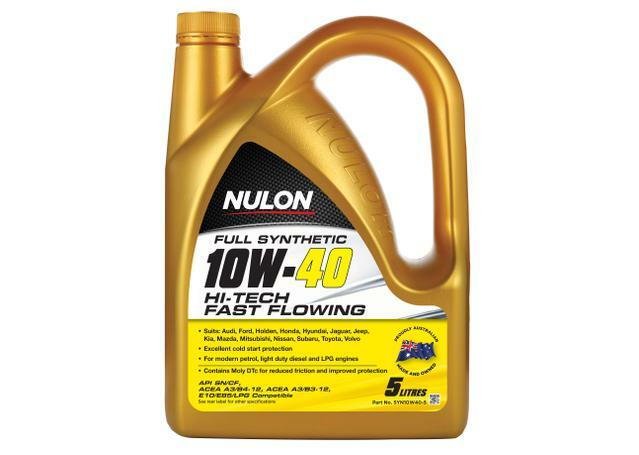 The generously sized five-litre bottle allows for a complete oil change, ensuring that your engine keeps running smoothly and with the full benefits of Nulon Hi-Tech Fast Flowing Engine Oil’s unique formulation. NOTE: Not recommended for heavy-duty diesel engines. Refer to your vehicle service manual for correct lubricant requirements and service intervals. Full synthetic formulation. 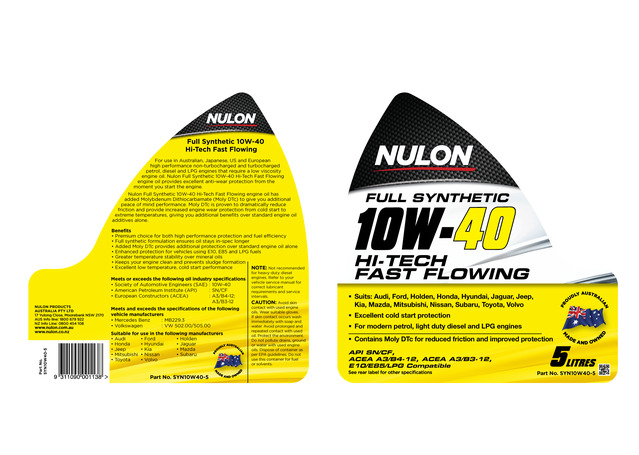 Added Molybdenum Dithiocarbamate provides more protection and performance over engine oil alone. Helps reduce metal to metal contact. Enhanced protection for vehicles using E10, E85 and LPG fuels. Prevents sludge formation. Limited manufacturers warranty according to the installation and replacement instructions as given by Nulon and the manufacturer of your vehicle.